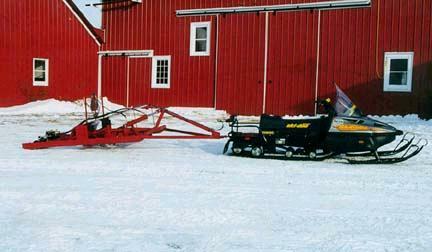 *Comparison between standard and custom built. 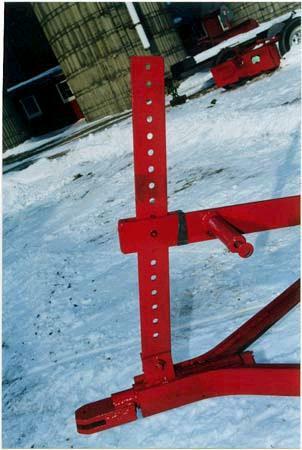 *Pintle style Hitch with full use of carrier basket on sled. 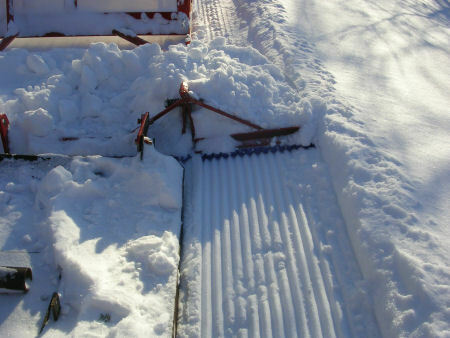 2) Stops rear of sled from moving therefore stops unwanted groomer depth variations allowing for a MUCH nicer grooming job, WITHOUT compromising front or mid suspension of sled. 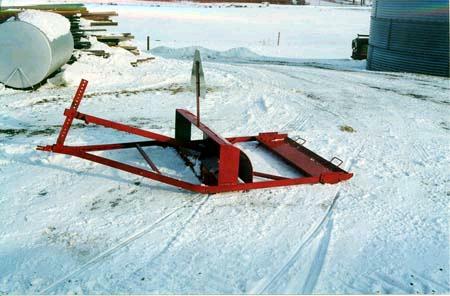 3) With this solid suspension, the sled turns almost the same radius either towing the groomer of not hooked to anything. 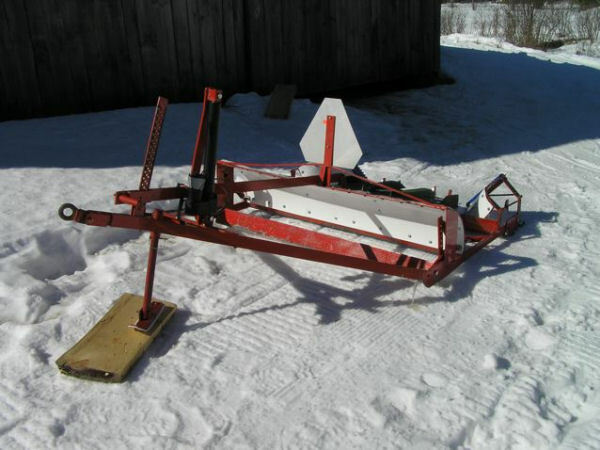 Without this solid suspension the sled virtually will not turn due to the weight beyond the fulcrum for the rear suspension which in-return takes all the weight off the skis. 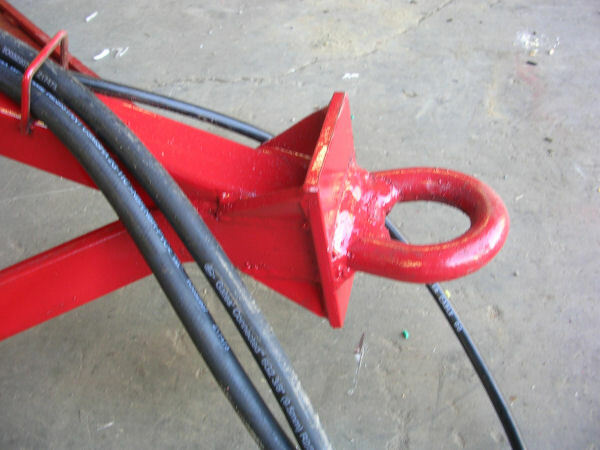 5) Pintle hitch has no limitations to movement like a ball hitch does. 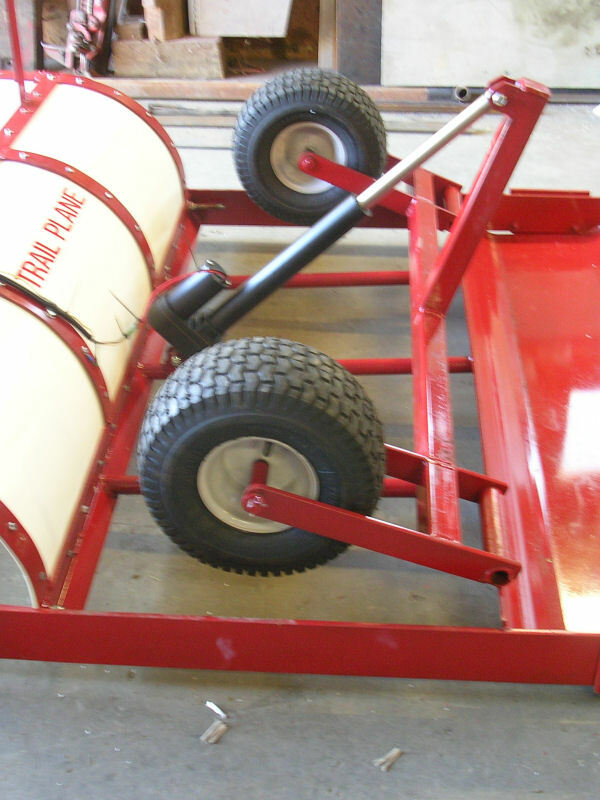 6) Using a pintle hitch also allows for the full use of the basket on the sled. 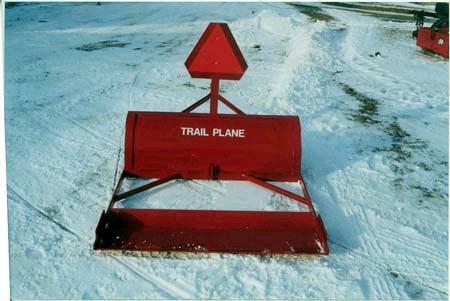 1) All Trail Plane models come with the blades at an angle of appox. 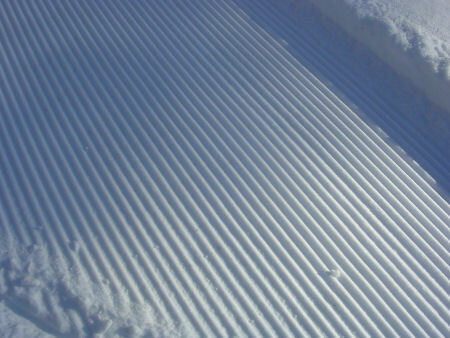 60 degrees instead of straight up like all our competition groomers. 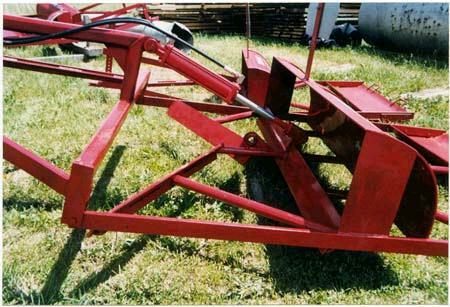 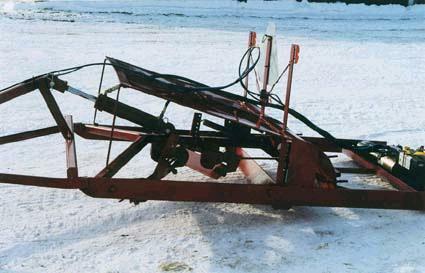 A) The angled-back blade works on the same principle as ANY agricultural plow allowing the blades to use the earth's gravity and friction forces as an efficiency tool on the smaller groomers. 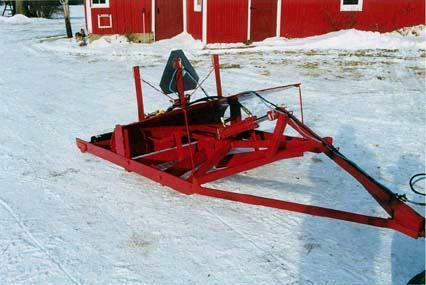 As the blades start into the snow they want to go deeper forcing more down force to the sled giving the sled more traction. 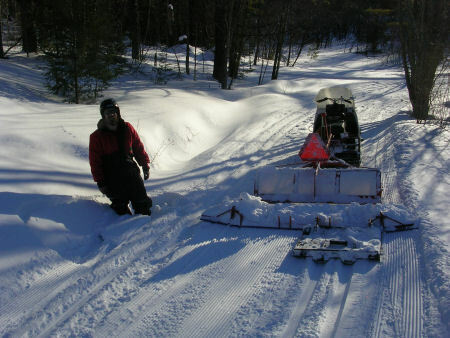 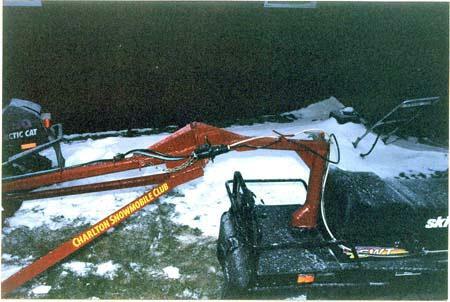 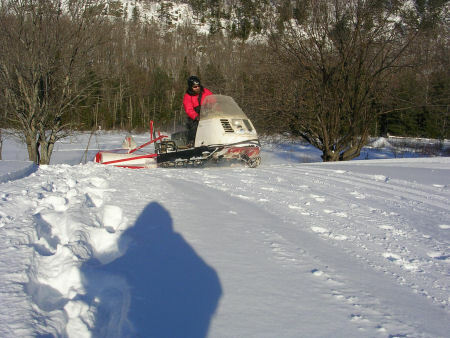 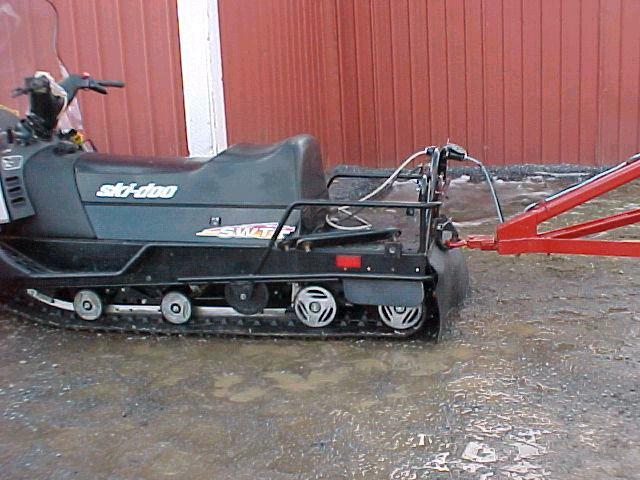 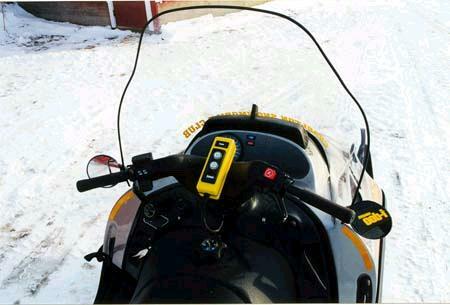 *Using a 2000 Ski-Doo Skandic SWT, (pulling a single blade 45", 220 lbs. 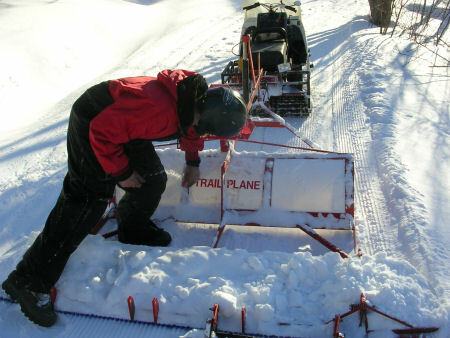 Trail Plane), testing showed that when the groomer starts into a large hard mogul, the Trail Plane would develop enough down force to bottom-out the rear suspension, (an extra 300-400 Lbs. 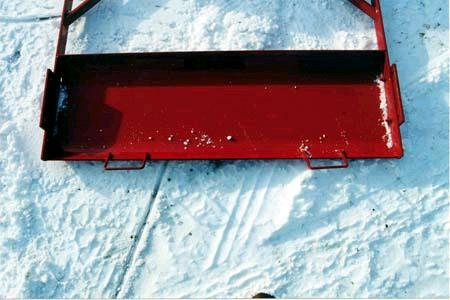 more on the back of the sled for more traction), allowing for a 4-6" deep cut! 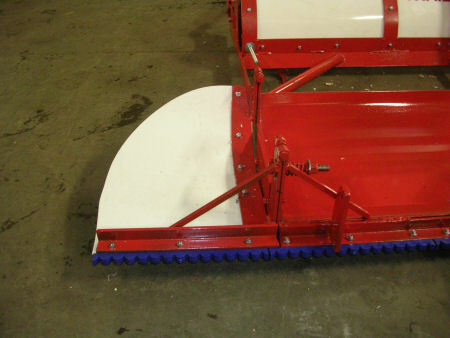 B) We have had to use a "snow catch curl" (the curved pieces above the blade and the large tin shield over the front blades on the bigger groomers) because the snow is thrown up instead of "balling" in front of the blades, like all of our competition. 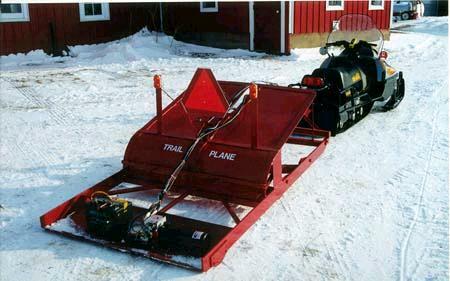 1) This allows the blades to stay clear and do a much better job grooming instead of trying to ride up and over the snow that is in front of the blades. 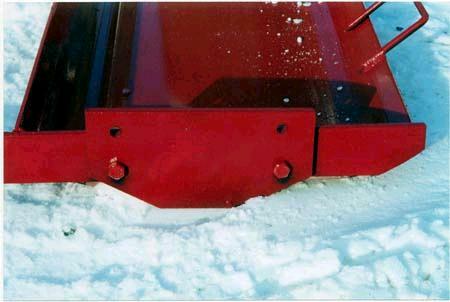 2) The curl also acts as a carrier for the excess snow to be dropped into a low spot when needed. 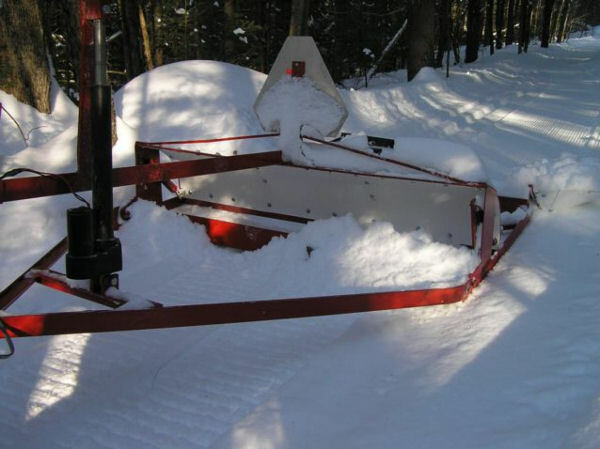 3) The curl is also 1" above ground level which allows an even spread of snow at all times for the packer pan to pack. 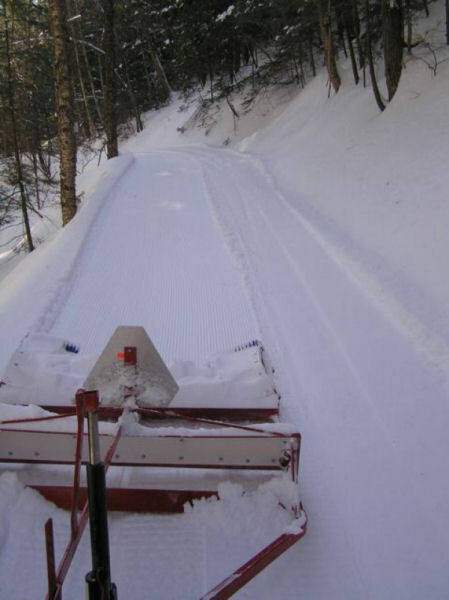 4) The large shield over top of the front blades, on the larger groomers, is for greater grooming speeds (7-10mph without losing any snow over the top of the groomer). 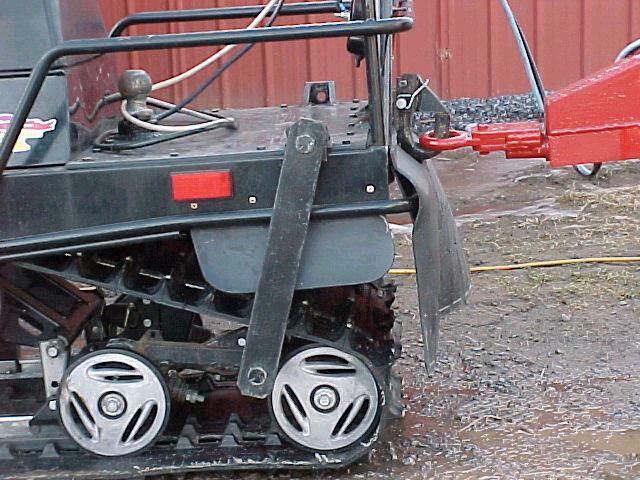 This shield deflects the snow back down into the "snow catch curl" allowing the groomer to do its job. 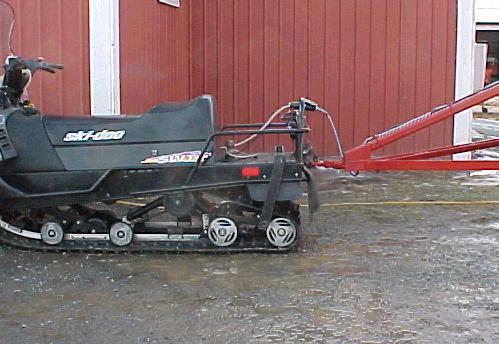 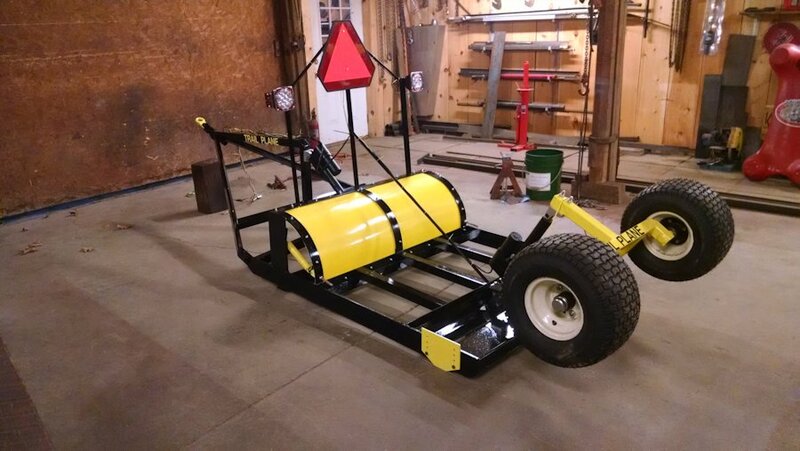 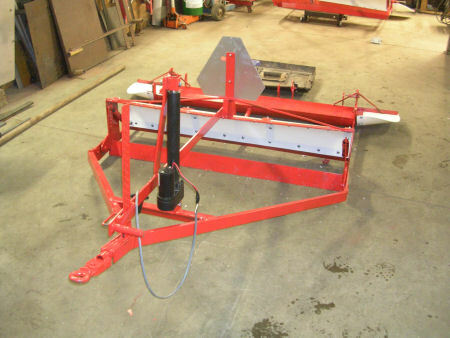 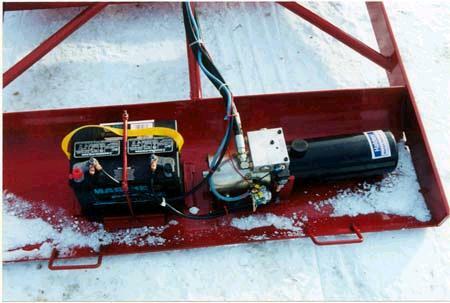 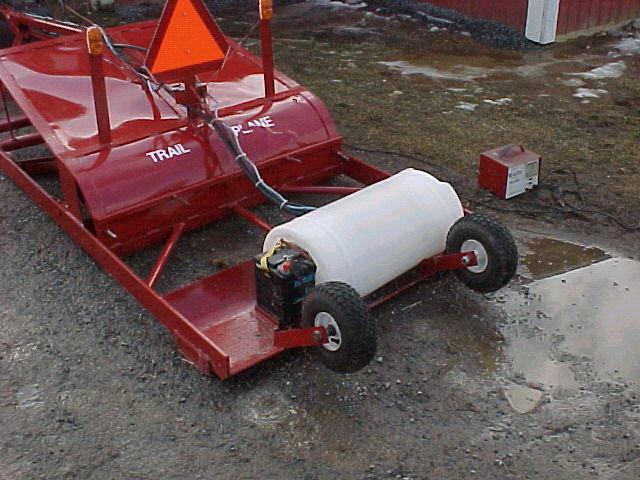 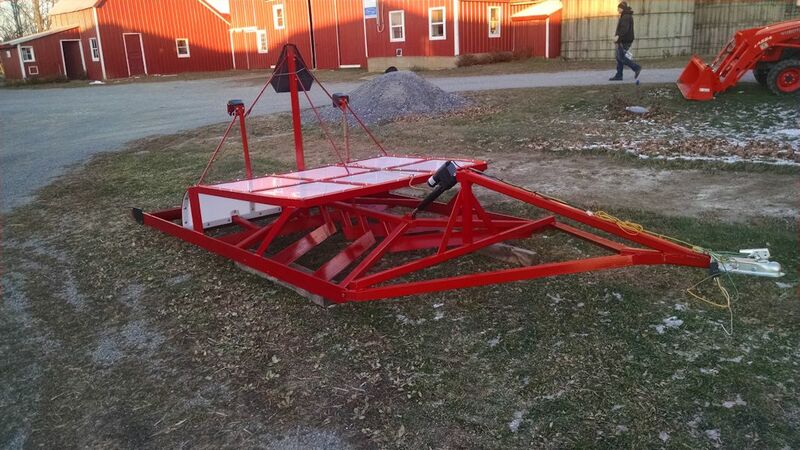 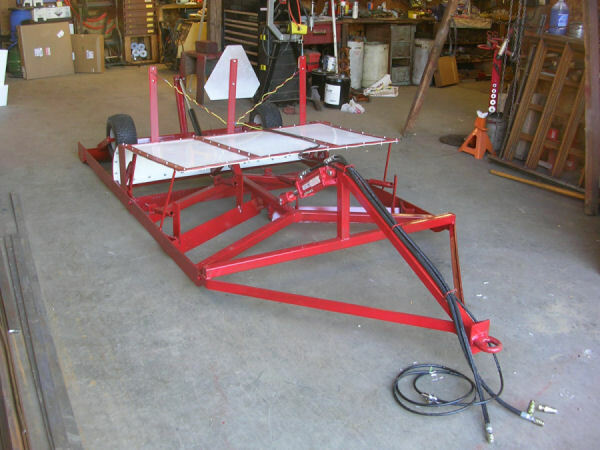 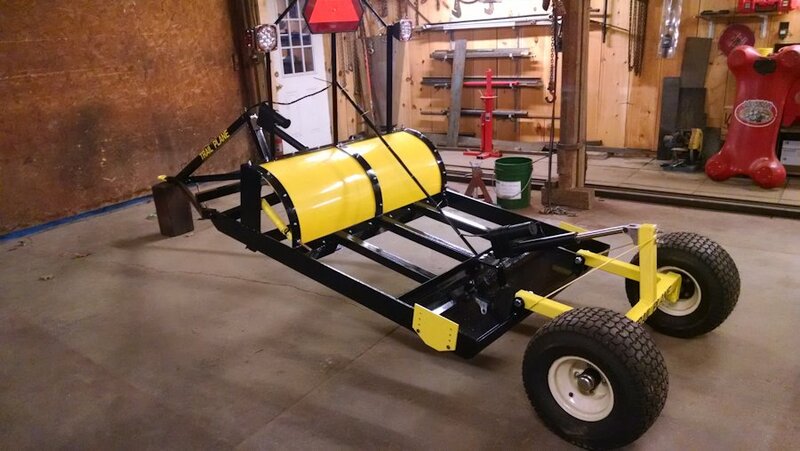 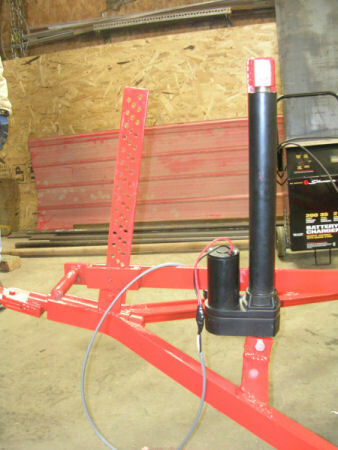 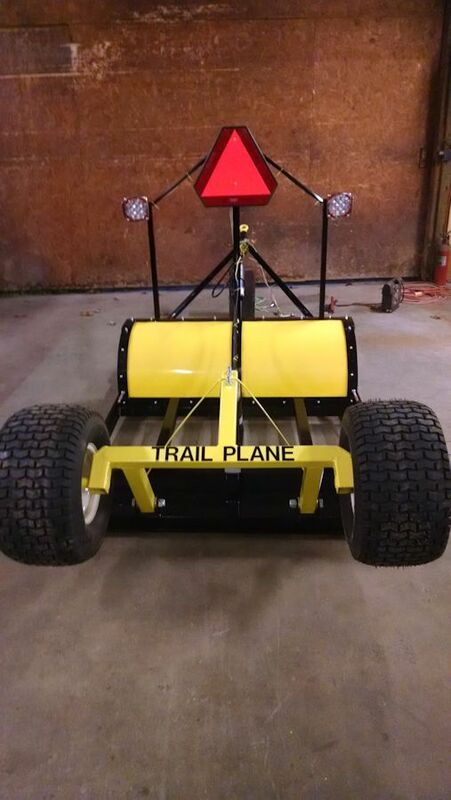 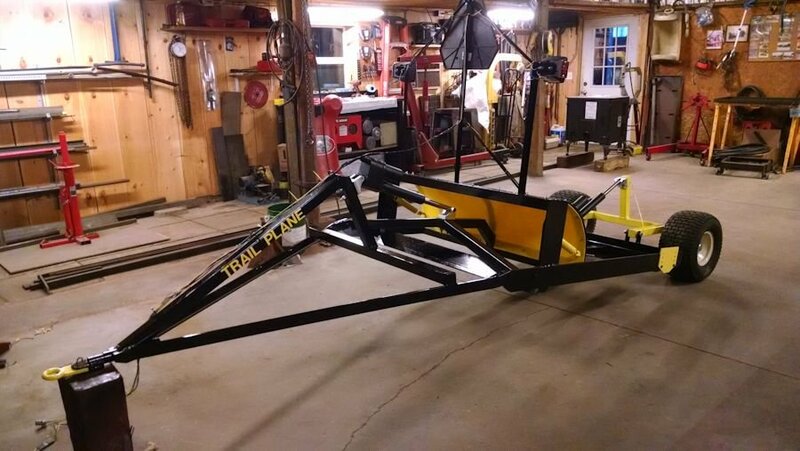 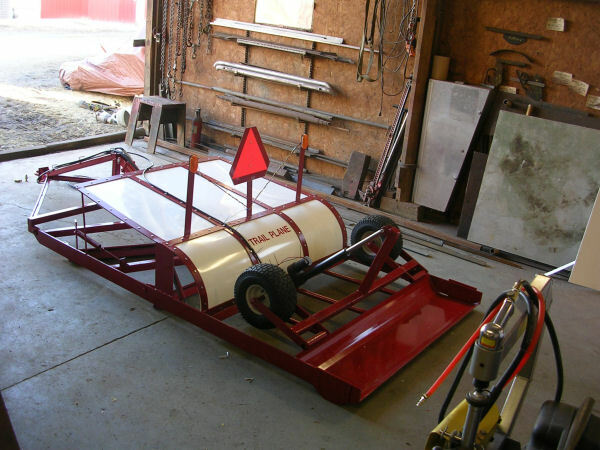 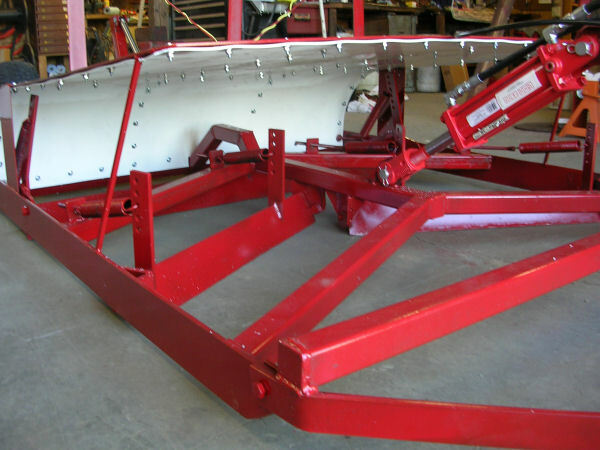 2) All the 12v actuator lift units on the Trail Plane groomers use solid mount hitch instead of a floating hitch like the competition because of the use of the ½" side rails, instead of the use of box side rails which allows the groomer frame to slice through the snow bumps instead of riding over the top of them. 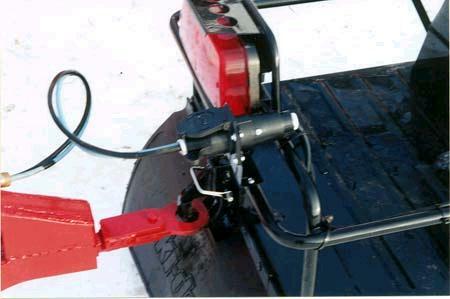 A) The solid mount actuator allows the groomer to work the same exact way as a wood plane, with a blade centered between two solid points(the back of the sled and the packer pan). 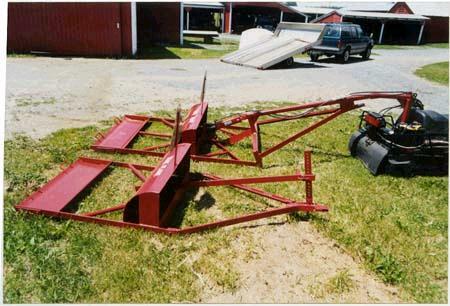 |B) The depth of cut is determined by the operator, (instead of pre-setting the depth of the blades below the box side railing). 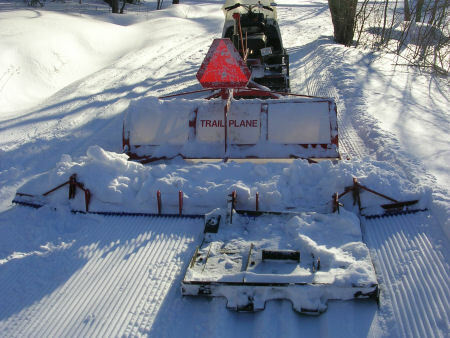 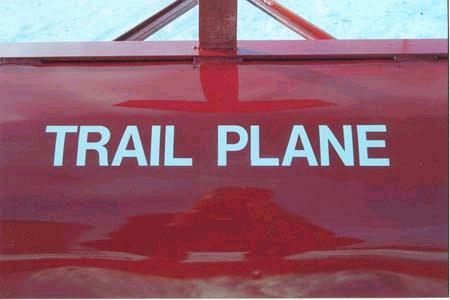 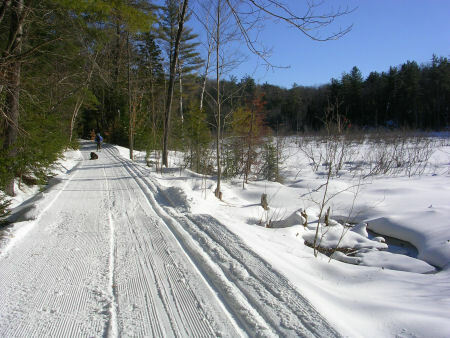 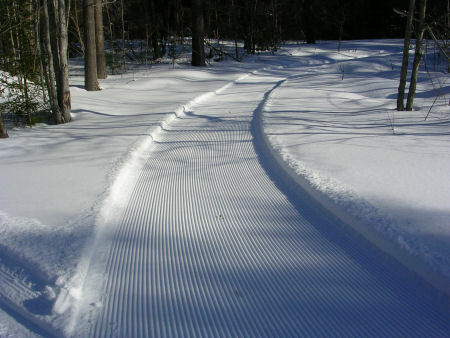 Because the ½" rails will cut into the snow, where the box side rails are designed to act as skies that ride on top the snow, this allows the Trail Plane to do a better, flatter, smother job. 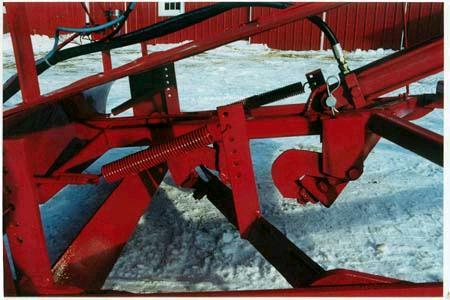 C) If the side rails do get bent, they can be straightened instead of having to be replaced liked the box side railing. 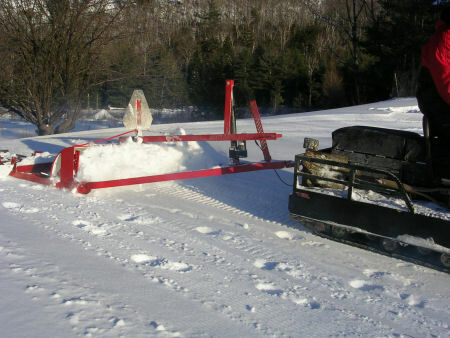 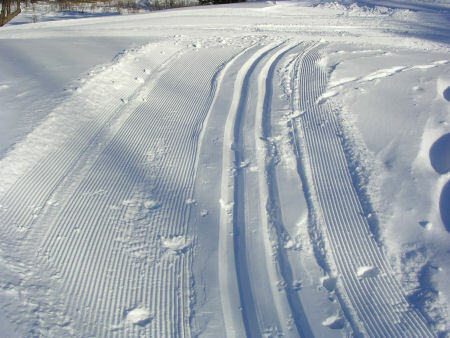 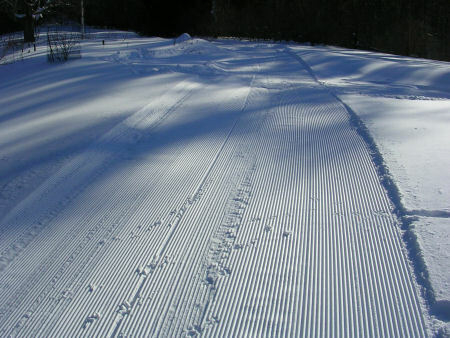 NOTE: "Bridging" the sled and groomer between two bumps is not a concern because the operator can keep that from happening because of the speed of the hydraulics over the electric screw. 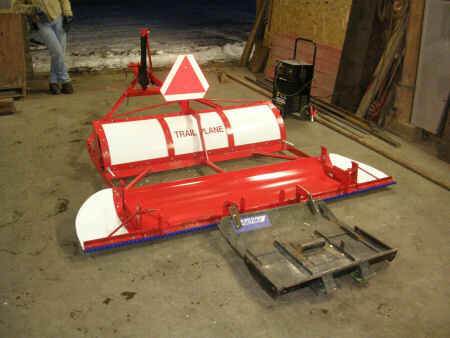 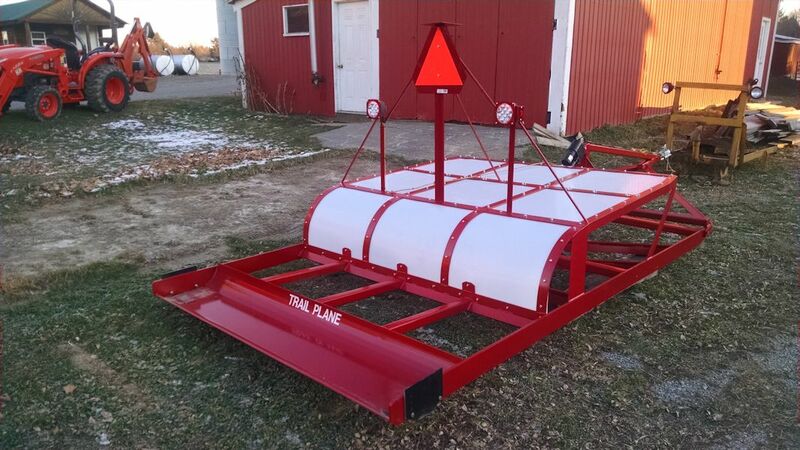 NOTE: Custom units and sled hitches also available, ask for details.